As an individual going through a divorce, one of your biggest concerns is protecting the assets that you have spent years building during your marriage. Perhaps there is no greater example of this concern than your business. As a business owner, you have likely invested a significant amount of sweat equity and financial equity in your company during your marriage. The idea of losing a portion of ownership and control can be extremely concerning and can have a significant financial impact on your future. So what should you do? Determine how much your company is worth. Quickly having a valuation done by a well-known and respected, valuation professional will help you determine how to best protect your interest in this valuable asset. Get organized. Start pulling together all the documentation and financial data related to your company. This includes business bank statements, agreements, bookkeeping records, and other documents that pertain to your business and marriage. This information needs to be very detailed and inclusive of all monies and assets you personally have invested into the company. 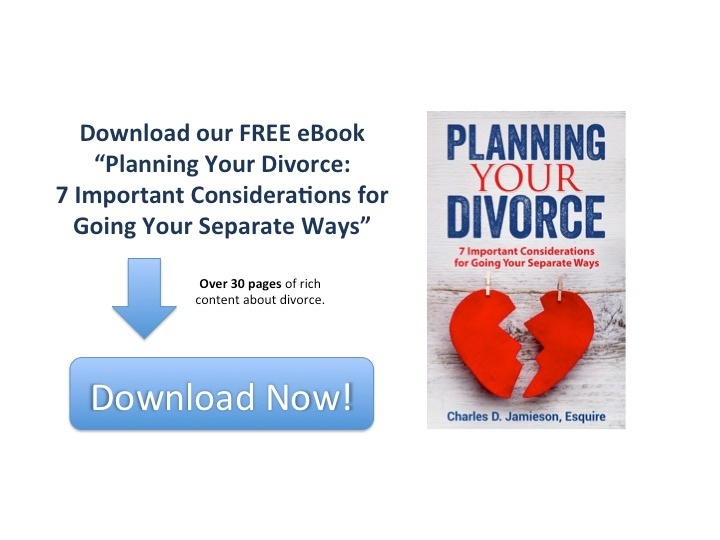 Download our FREE eBook: "Planning Your Divorce"
Block or sever your spouse’s involvement with the company. The more actively involved your spouse is with the company, the greater the possibility a judge will believe your ex helped to build it and should profit from its growth. In some cases, the court may permit your spouse to manage the business during the divorce and/or permit your spouse to buy out your ownership interest in the company. Pay yourself a good salary. If less of the earnings from the company reach your household funds, your spouse’s lawyer can argue that your ex may be entitled to more of the asset value of the company. The court may also order that the profit, not distributed to the company, should be added to your income for the purposes of calculating alimony and child support. Consider a trade. Retaining ownership of your business after the divorce may mean the concession of other assets to your spouse to create an equal division of assets between the parties. Think about what you are willing to give up to keep ownership and/or control from your spouse during and after the divorce. Think about a payment plan. Another way to maintain ownership is by paying for your ex’s stake over time. Try to maintain a good relationship with your ex. The more amicable you can be with your spouse, the more likely they will work with you to achieve a mutually satisfactory result. Animosity and anger does not make for good negotiating. 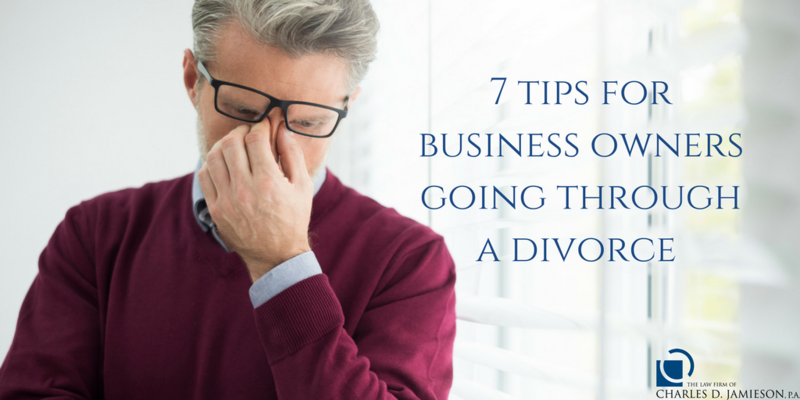 The best way to protect your business is to take preventative measures before there is even a whisper of divorce. This can include a prenuptial agreement and/or business trust. In the absence of those alternatives, start acting strategically as soon as possible. Enlist the services of an experienced divorce attorney to ensure you are doing everything you can to keep what is yours. Board Certified Marital and Family Law Attorney Charles D. Jamieson understands that divorce is an extremely sensitive and important issue. Thanks to extensive experience and a focus on open communication, Attorney Jamieson adeptly addresses the complex issues surrounding divorce while delivering excellent personal service. To discuss complex financial issues related to divorce, please contact The Law Firm of Charles D. Jamieson, P.A. online or call 561-478-0312 to schedule a consultation.